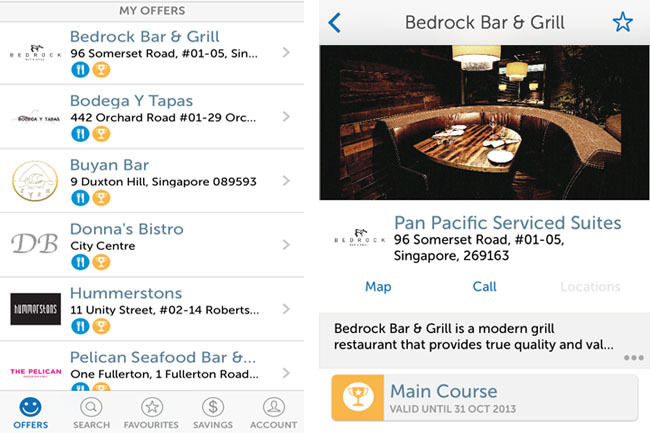 We all love some handy Food Deals and Apps, but this is one app which can offer you great dining deals and huge cost savings. 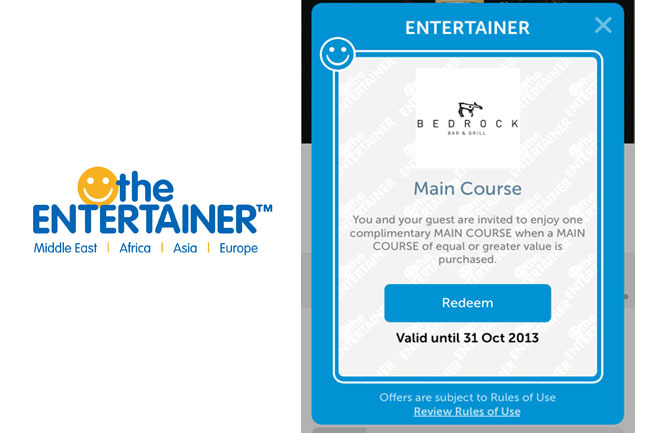 The Entertainer Singapore app (with a yellow smiley face as an icon) is available for free download across all app stores from iTunes, Blackberry to Google Play with a selection of eight vouchers during its trial (trial till end Oct). 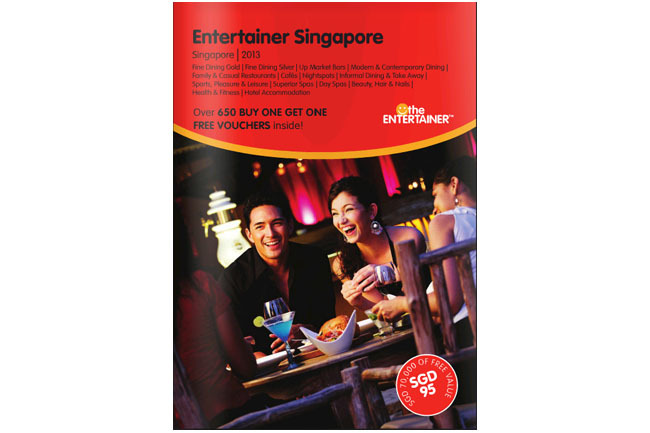 The Entertainer is an international Dubai-based company, known for their portfolio of ‘buy one get one free’ incentive vouchers available in books. I have seen the voucher booklets at bookstores overseas and thought it would be a great thing if it is can be launched in Singapore. Well, foodie-dream comes true. It is also available at a more convenient app format for the Singapore launch. The Entertainer App is especially helpful if you dine out frequently and want to make some actual and huge cash savings. 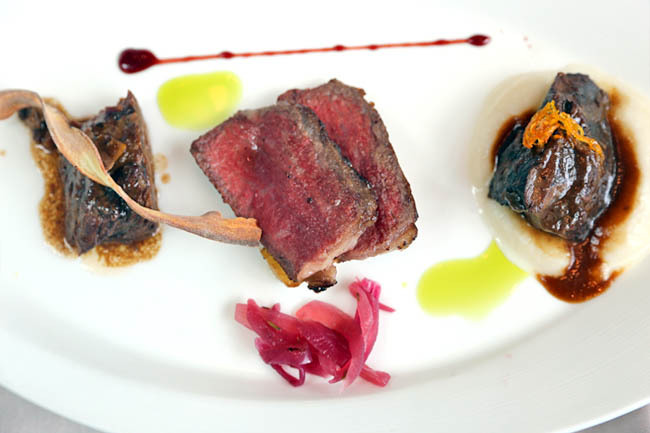 For the trial, you can get one complimentary Main Course when a main course of equal or greater value is purchased. I checked out the restaurants available. To my pleasant surprise, most of them can be considered mid-high restaurants of reputable quality which include Bedrock Bar & Grill, Bodega Y Tapas, Buyan Bar, Donna’s Bistro, Hummerstons, Pelican Seafood Bar & Restaurant, The Disgruntled Chef and B@Rochester. With no fuss, I made my reservations at Bedrock Bar & Grill because I have heard much of their food. 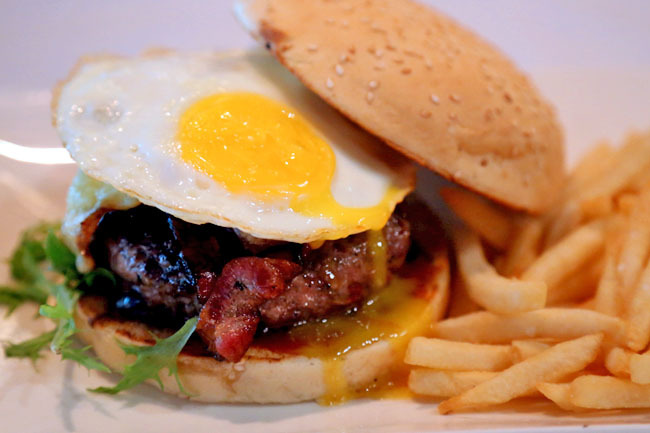 I had a Chopped Steak Burger ($35) which had a USDA prime beef, bacon, fried egg, mustard bbq sauce. 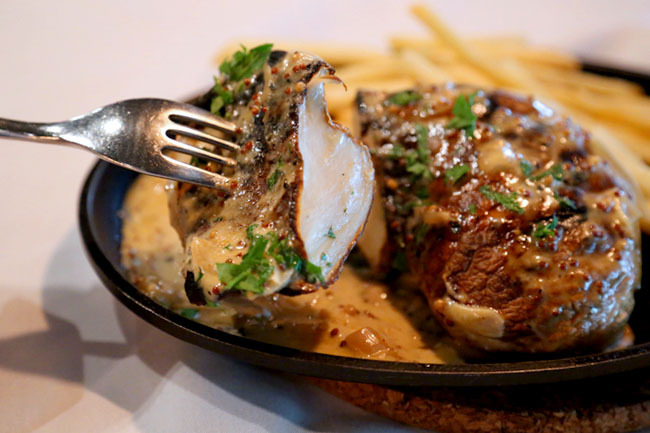 Therefore, my next main, the “Steak” Diane grilled mushroom steak with diane sauce with truffle fries ($32) came FREE! No, not joking. The voucher book will also be available for sale in Kinokuniya as of November 19th. Priced at $95, it will contain over 660 vouchers to the best restaurants, casual dining, upmarket bars, spas, hotel accommodation, and attractions totalling $150,000 in savings. You can also purchase the mobile package of offers for the app depending on your preference, as both the book and app will contain identical incentives. Wait, wait, wait. Better news! As an introductory offer, all users can purchase the full mobile package on the app at $57 from 1st November, which is 40% off! Plus receive the 2013 Entertainer Singapore book as well. 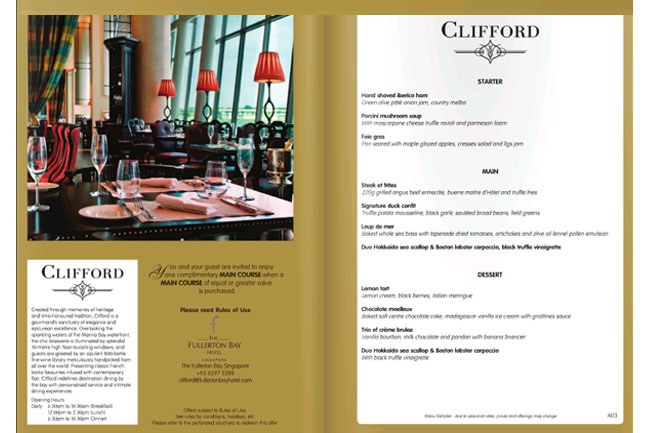 The restaurants available range from fine dining (ilLido Italian Dining, Alkaff Mansion, Clifford, Fat Cow, The Knolls, Kinki, Anar, b@Rochester, Bedrock Bar & Grill, La Barca Ristorante, Pelican Seafood Bar & Grill, Prime Society Restaurant & Bar, Town Restaurant, Yantra), modern contemporary restaurants, casual family eateries, cafes, to kiosks. It’s such a long list, there are more than 100 to choose from. Hi Tammy, basically the book and app provides the same incentives and vouchers. But some may prefer the app as it is more convenient. Hi.. may i know when will the $57 promotion ended? thanks. Hi Jessica, The promotional price will last till end December. Yes, the app is free and 1-for-1 deal is actually free for some good restaurants. The $57 is for the full package of vouchers. May i know how long are the vouchers in the book valid for?